Purchase of this book includes free trial access to www.million-books.com where you can read more than a million books for free. This is an OCR edition with typos. Excerpt from book: CHAPTER VII. THE MANAGEMENT OF THE CAMERA IN THE FIELD. 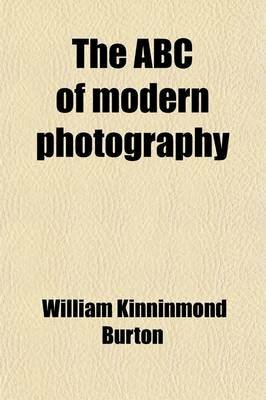 If the young photographer have diligently perused the former lessons, and have gone through the various manipulations which are described in them, he will now be ready to sally forth into the field, and, selecting the beauty spots of nature, 'transcribe them by the aid of his camera and lens. He may, in fact, make pictures. We have declared our intention of not entering into the question of art in connection with photography, but have referred our readers to more advanced works for guidance in this direction. Yet we may make a few general remarks on the subject, especially in indicating those points wherein the requirements for a photographic picture differ from those for a painting. The chief of these is, of course, the absence of colour. We cannot have transcribed by the camera the broad contrasts which are frequently brought out by colour alone. We must trust entirely to form and to light and shade. Very frequently a scene will make a most perfect picture on the camera ground glass, when the experienced photographer knows itwill make nothing in the print. Alas the colour which makes the picture cannot be reproduced. This fact makes it the more necessary in the camera picture to have the form and light well balanced. The picture must not be all on one side, nor must there be running through it in any direction long uninterrupted lines. For the rest, there is wanting to a perfect landscape picture?be it painting, drawing, or photograph?a foreground, a middle distance, and a distance. It is in the latter that photography fails. What to the eye appears a definite distant landscape, the distance but lending enchantment and softness, comes out in a photograph so dim and faint, that it would seem to be almost hidden by a..